While many expected Steve Jobs to offer a sneak peak of iOS 5, and introduce a revamped version of MobileMe during the iPad 2 announcement keynote last week, as it turned out, the event was entirely focused on the new Apple tablet. Apple isn’t resting on its laurels though, as the company is getting ready for another media event in late April, to announce the next generation of iOS, as well as MobileMe ‘reloaded’. According to German website Macerkopf.de, the event is expected to be held at Apple’s headquarters in Cupertino, Cali., and invitations will allegedly be sent out early next month. 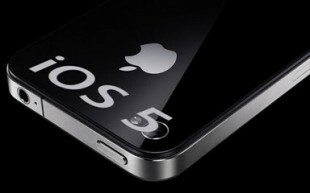 iOS 5 is expected to offer many new features over iOS 4, such as full-blown AirPrint support, wireless syncing to/from the cloud, a much better Game Center, an enhanced multitasking API, as well as drastic user interface changes, with entirely new menus, a new dock, as well as additional multi-touch gestures, to name a few. MobileMe is expected to become the visible portion of Apple’s soon-to-be-introduced cloud-based services, and should be used extensively by iOS 5, in order to store user contacts, calendar information, and even files. Best of all, MobileMe ‘reloaded’ is expected to come completely free. Both iOS 5 and the new MobileMe should be available a couple months after the announcement, around the June timeframe, alongside the iPhone 5.